A Small Friendly Office Resolving Legal Disputes at a Good Value. 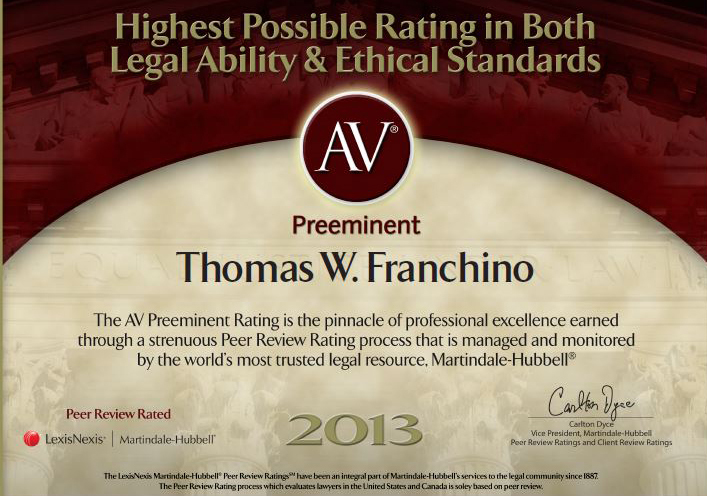 In recognition of our work, the national directory of attorneys Martindale-Hubbell has awarded our firm its prestigious AV Preeminent rating, indicating that peers rank us at the highest levels of professional excellence. We are dedicated to providing our clients with direct attorney access and highly-personalized legal services. With in excess of thirty years of broad legal experience, we efficiently provide high quality legal representation, in a cost effective manner. We will not provide services which merely add to our client’s expense. We provide only those services which are necessary, or likely to successfully resolve our client’s problem. My legal assistant and I, similar to many other residents of Southwest Florida, are originally from the Midwest – Illinois. We have, however been residents of Southwest Florida for 36 years and 30 years respectively. As a result, we are very familiar with Florida, its businesses, government institutions, and most importantly its judicial system. The Law Office of Thomas W. Franchino, P.A. is located in Naples, FL and serves clients in and around Naples and Collier County.